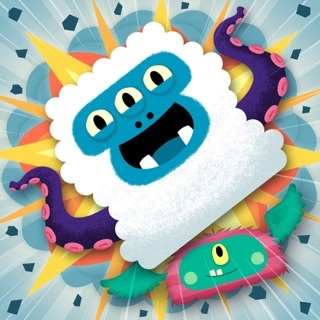 Kids play and interact with Ben as he tries to help his monster Gurk overcome his shyness, through 8 games and interaction on every page that are intertwined with the storytelling. 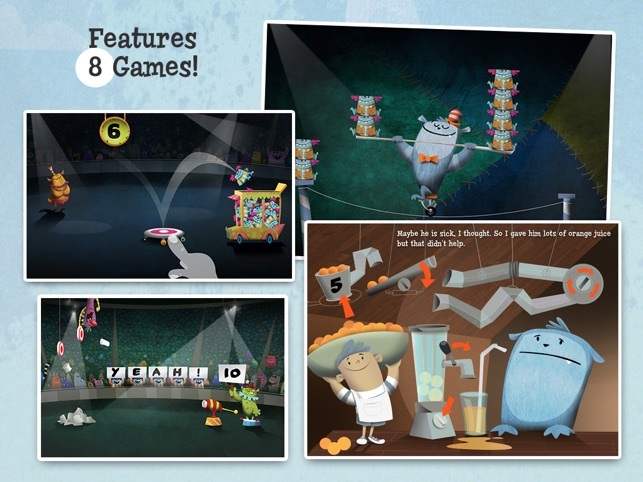 The games let the reader push the action forward as kids throw pies, bounce and balance monsters, juggle balls, dress up a monster and more. Plus, every screen has hidden activities and surprises! 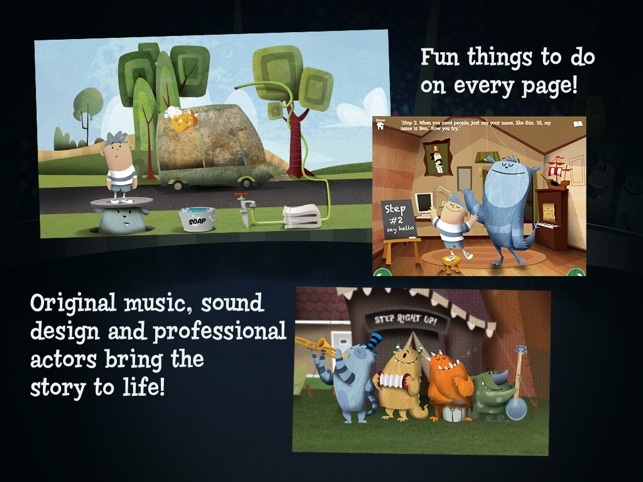 Features original music, sound effects, and a professional actor to bring the world to life for your child. 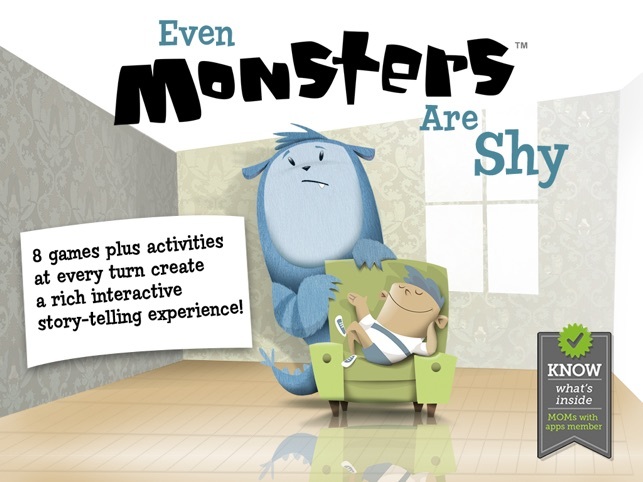 "Even Monsters Are Shy" is part of the Even Monsters(TM) series that has been featured on USA Today, in the "Best of" category on the iTunes store, won the Parents' Choice Gold and Silver Awards, earned the Kirkus Reviews "Best of" pick, and much more. 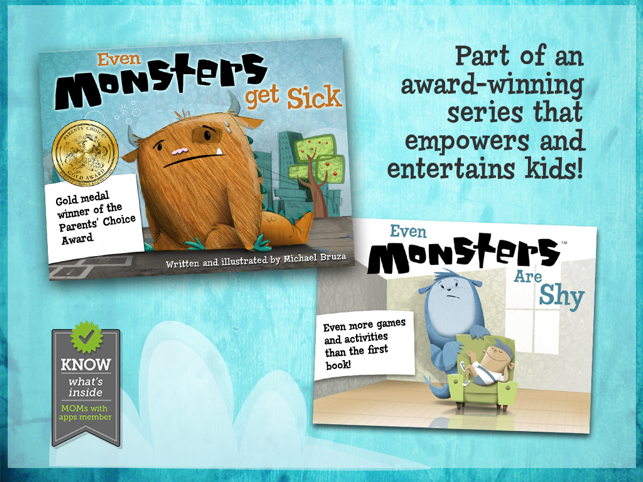 The Even Monsters series helps kids overcome the daily challenges that every kid faces, through games and interactive storytelling. Brought to you by the same team that produced Zoo Train, Tracks 'n' Trains, Brainy Bugs, Giggle Ghosts and Even Monsters Get Sick. Visit http://www.busybeestudios.com/games/ for printables and more info! 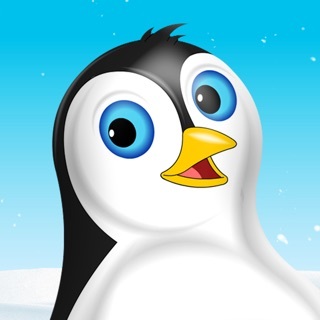 This app contains NO ads, NO in-app purchases, NO tracking, or any data collection whatsoever. 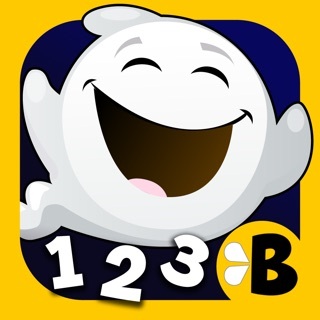 This app does contain links to our website and to the iTunes app store, but they are found only in a Parent screen that is protected from younger users. 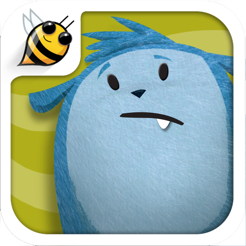 Updated app for iOS 11, and revised parent section to include information on new apps for young learners. Beautiful illustrations, love the story and message. Teaches that you just need a little confidence to try to overcome a little shyness, and show everyone who you are. 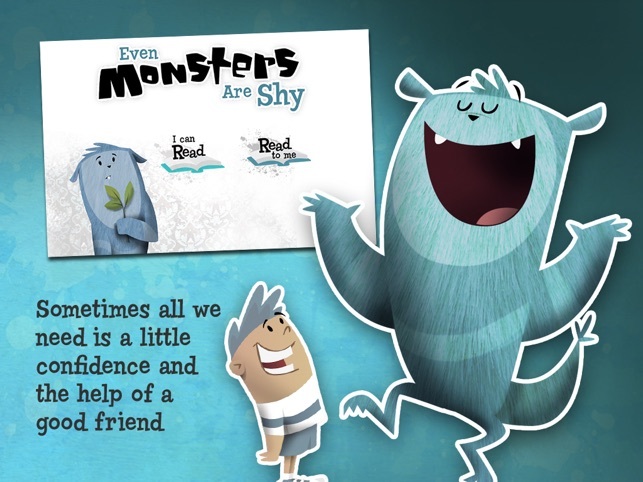 The monster doesn't change his personality, but instead finds the strength from his friend to overcome his fear of people/monsters! My 3.5 year old enjoys this. 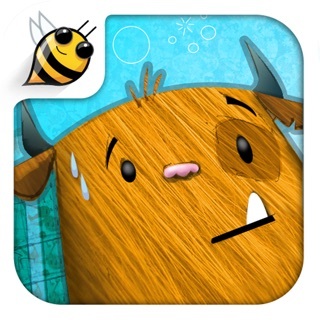 It's a cute story and has great graphics and sounds (a tad funny too.) It is a single "book" so older kids will find limited replayability, but at 3 they like to do the same things over and over. 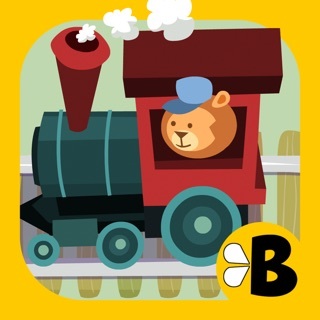 Definitely worth $2 when comparing to all of the other garbage on the App Store. Really helped my 3.5 year old learn how to introduce herself. 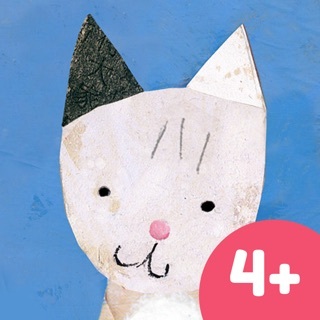 So cute and gender neutral with practical suggestions for making friends subtlety infused in the cute story and engaging games. © 2014 Busy Bee Studios, Inc.